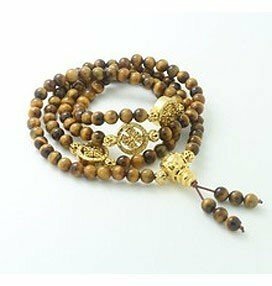 6mm Mini Mala-Tiger Eye Dharmachakra with tiger’s eye beads, with gold-plated dharmachakra markers, finished with a golden guru bead and tiger’s eye adornments on stretchy cord. Imported. 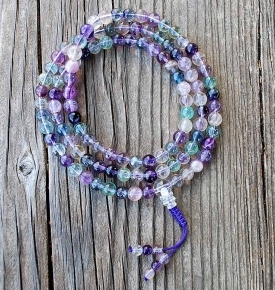 I give this mala bead necklace a 4 star. 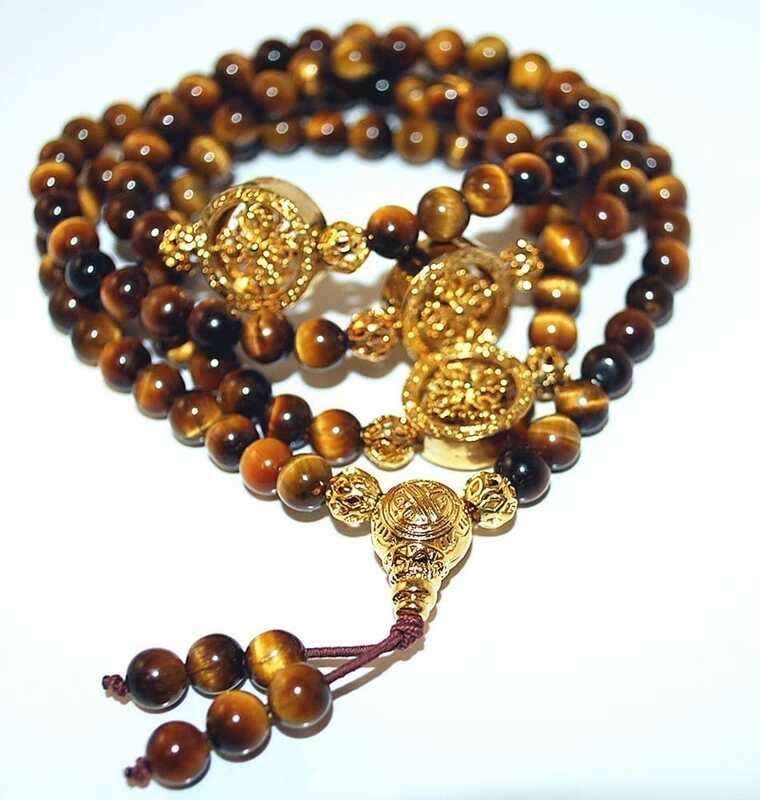 The stones in the picture does not do its justice, the Tiger Eyes are beautiful. 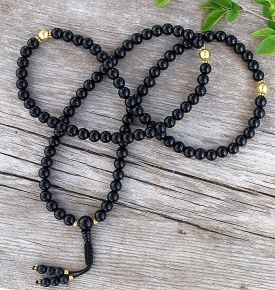 I am a petite person and the length of this Mala is perfect, the gold brings out the color of the Tiger Eyes. 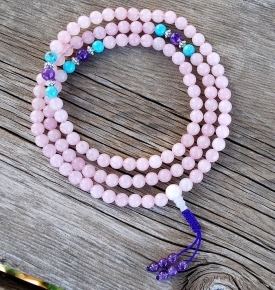 I wanted to wear it as a bracelet but did not want to harm the Mala beads. Stunning stones. 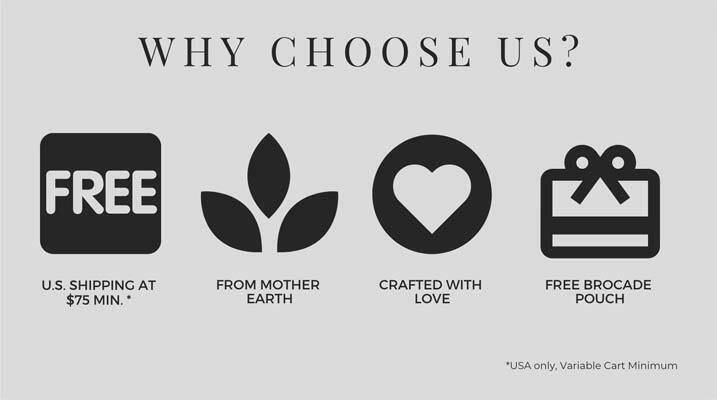 Gold beads are good quality and not cheap looking. Fit is perfect for my wrist. 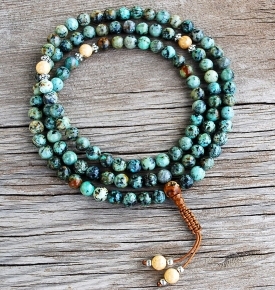 Most malas are too small to wrap four times, but too bit to wrap four times. This one is the perfect length.